As a teen I studied industrial design at the Rhode Island School of Design, making climbing jumars, porta-ledges and a number unrealized designs for ice axes and such. Bill Forrest of Forest Mountaineering in Denver responded to a letter asking for an internship, so I rather naively quit school and moved to Denver-Boulder. The internship never happened, Forrest Mountaineering having started a descent into bankruptcy. In need, I answered an unskilled worker ad at Camp 7 and ended up bicycling 5 days a week to a work shift of laying and cutting fabric, bundling, inspecting and packing and eventually working as the patternmaker's assistant. After a year I quit Camp 7, to start my own outdoor equipment company called Kailash Designs in Boulder. This was funded by a $5,000 loan from Temple Buell, of Denver Cherry Creek development fame and abetted by a rent-free / low rent arrangement with Mrs. Buckley, a trenchcoat and sunglass wearing landlord. Mrs. Buckley perhaps had a soft spot for me. She certainly had a need to clean out her "hippy haven" rental house of problem tenants and trash, which I gladly did in return for a basement living and work space. I made and sold several hundred packs, clothing and soft climbing gear and I supplemented income by contract sewing for more established Boulder outdoor equipment manufacturers. My Kailash Designs business sparked and fizzed but never caught on so after a few years I took a job as designer at Velocipac, a bike equipment company. I was hired during a manic phase of the owner and I designed 2 seasons of bike packs and clothing. The day Velocipac went into bank receivership we employees tossed large amounts of product over the back fence, the booty later split between owner and employees. The end came when the bank hired the employees to pack everything in the building, furniture included, into moving vans while the bank distracted the owner. After Velocipac, the Colorado Small Business Assistance Center introduced me to a struggling leather and suede clothing manufacturer, who hired me as designer for what turned out to be their last season. The sales rep had a fashion look including snakeskin shoes and a salesman confidence on design and business. But the make or break Denver Mart show came and went and the business shut down. My last connection with the company was handing over a +/-$1k pattern grading machine to police at my doorstep, the police being summoned by the receiver of the business. I kept an eye for international work while in NYC, having spent the year after high school traveling through the Middle East and Indian subcontinent . I was hired by a volume dressmaker to be eyes n' ears for production in China. I made a crazy employment deal which was honored. I worked two years no break in difficult mainland China locations and then a year off so I could mountaineer and adventure. I did this for 5 years. It allowed me to have fun adventures; solo climbing an incredible 17,000 ft granite pyramid in Sichuan and cycling 12,000 km in Xinjiang, Tibet and Quinghai, China. After 5 years dress work I was hired as Country Manager in Sri Lanka for a Taiwanese manufacturing agent. I lived in Columbo, Sri Lanka for several years, though the violent JVP and Tamil Tiger uprisings. Though my office was damaged in a bombing and was subject to various threats, I had a great time. I ran marathons and put the international in the International Tour de Lanka 600 km bike race. I plotted and planned for a return to mountaineering. My partner, Jan, and I organised the 1993 Tri-Peak Expedition to Mt. Everest, Mt. Cho Oyu and Mt. Shishapanga, all three being giant 8,000 meter Mountains. Jan and I summited, without Sherpa or support climbers help, all three mountains. I wore to the summits a down suit I designed and sewed. I remember a sticky tropical night in Sri Lanka stuffing and sewing shut goose down feathers in the suit, the sewing machine outside in the the buggy heat. Sri Lanka was a Groundhog Day, Gilligan's Island kind of reality for me. Three times I said good bye to Sri Lanka, after a work assignment, only to return for another go. My last stay was a few years after Mt. Everest, returning to be a regional manager for an American manufacturing group. 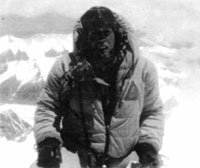 I gave up 8,000 meter mountaineering, having survived 20 some Himalayan expeditions before my last return to Sri Lanka. 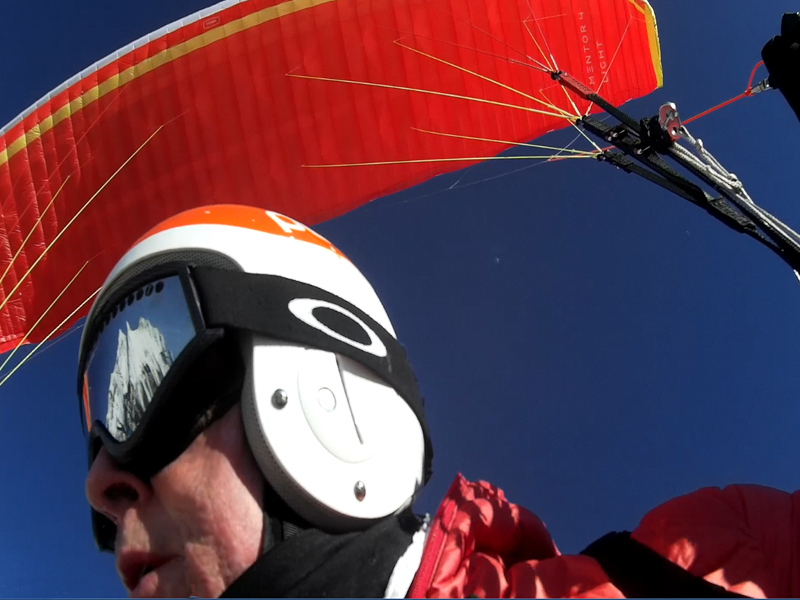 The adventure itch is persistent and I became a civilian parachute instructor to the Sri Lankan Air Force and Army Commandos, fitting the parachuting instruction around my corporate manufacturing responsibilities. The parachuting instruction work was edgy. I was picked up at sunrise by a massive Mi-17 helicopter, flanked by armed soldiers, then flown via a variable, low-altitude flight plan to avoid Tamil Tiger missiles to a closed airport for training instruction. 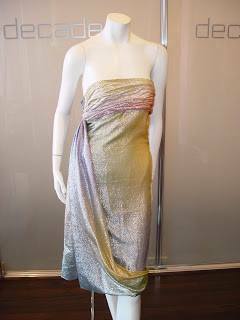 Then back home by mid-afternoon for a business session of dress manufacturing minutia. The military instruction ended when my girlfriend, now wife (Tyco) had a serious accident while parachuting with me and the Sri Lankan military. Tyco's parachute did not open fully and she hit knees first into a Sri Lankan runway. Tyco's 3 years of surgeries and rehab took us to Denmark, Sweden, India and South Africa. Tyco's recovery was difficult and uncertain but we kept on. 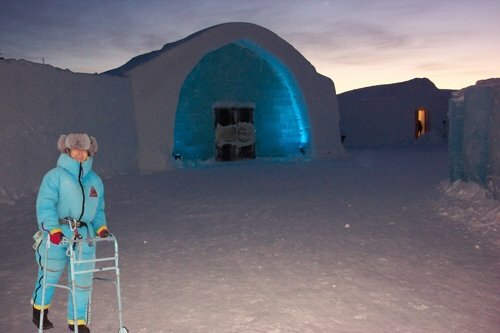 We married in the Swedish arctic circle mid recovery, in an ice hotel during winter solstice. Tyco wore the down suit I designed and wore to to the summit of Mt. Everest. ​After recovery we moved to Telluride, Colorado, where we enjoy life and I work as a realtor and interior designer. 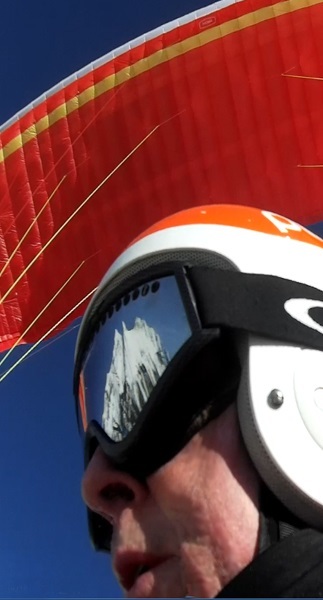 My adventures now are skiing and paragliding.